On this website you can find useful information about Dallas Fort Worth International Airport: Arrivals, Departures, Terminal information, Parking, Car rental, Transport, Accommodation, Amenities and Services, among other information. 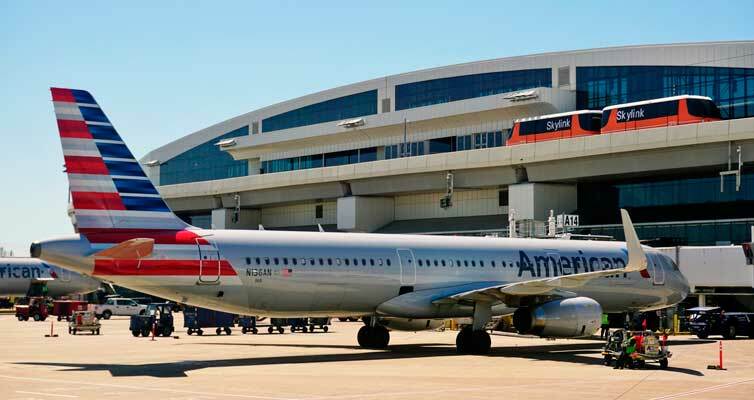 Plan your travel to DFW airport with the information provided in this site. Dallas Fort Worth Airport consist of five terminals (A to E). Dallas Fort Worth Airport is a hub for American Airlines. 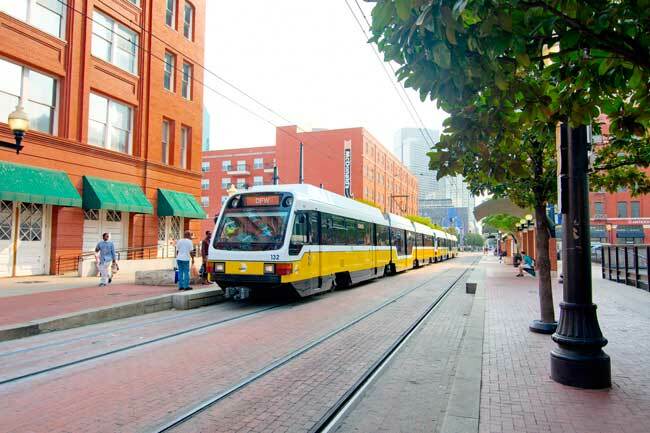 The DART light rail system connects Dallas Fort Worth Airport with downtown Dallas. Dallas is the largest and populous city in the state of Texas, United States. Dallas Fort Worth International Airport (IATA: DFW, ICAO: KDFW, FAA LID: DFW) is the main airport serving the Dallas-Fort Worth metroplex area in Texas. United States. It is the fourth busiest airport in the world, hosting about 900 daily flights to 229 destinations (56 international and 173 domestic destinations), and is indeed the second largest airport in the United States after Denver Airport (30 sq miles). Dallas Fort Worth Airport is located between the cities of Dallas and Fort Worth, across Dallas and Tarrant counties given its size (larger than the island of Manhattan). Given this fact, the airport has portions of the cities of Euless, Grapevine, Irving and Coppell. The distance to Dallas is 20 miles (32 km) and to Fort Worth is 24 miles (38 km). Dallas Fort Worth Airport is the fourth busiest airport worldwide. It is hub to American Airlines. 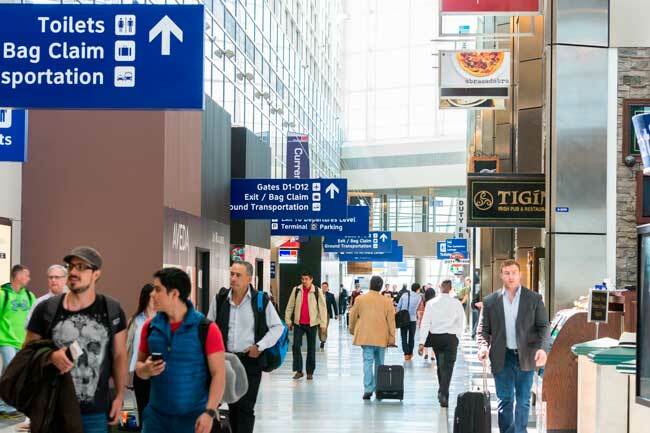 Top 10 busiest international routes from Dallas Fort Worth Airport are Cancun, London, Mexico City, Tokyo, Frankfurt, Monterrey, Seoul, San Jose del Cabo, Toronto and Vancouver. Dallas Fort Worth Airport handled over 67,092,194 passengers in 2017. Dallas Fort Worth Airport consist of five terminals, all of them designed in a circular way. In that sense, Terminal A and Terminal B are located one in front of the other, same as Terminal C and D, while Terminal E is located facing the parking premises. Terminal A: Used mainly by American Airlines flights. Hosts gates A6 to A39. Terminal B: Exclusively used by American Eagle. Hosts gates B1 to B49. Terminal C: Exclusively used by American Airlines. Hosts gates C2 to C39. Terminal D: The International Terminal. Hosts gates D5 to D40. Terminal E: Used by the following airlines: Air Canada, Alaska, American, Delta, Frontier, JetBlue, Spirit, United and Westjet. Hosts gates E2 to E38. 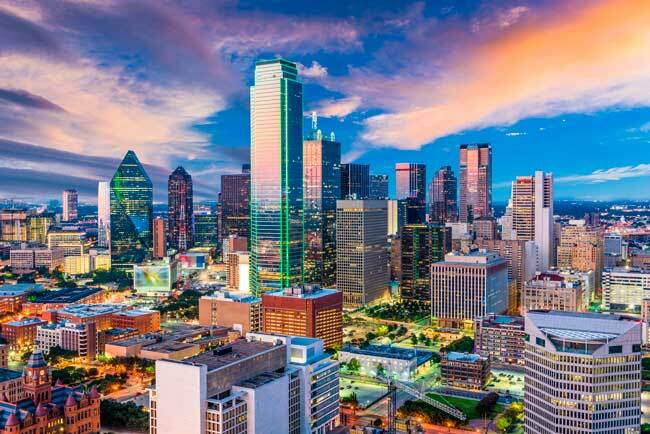 Dallas is the main city in the US state of Texas, being the most populous city in the Dallas – Fort Worth metroplex. Given the size of Dallas, some sections of the city are in other counties such as Collin, Denton, Kaufman and Rockwall counties.